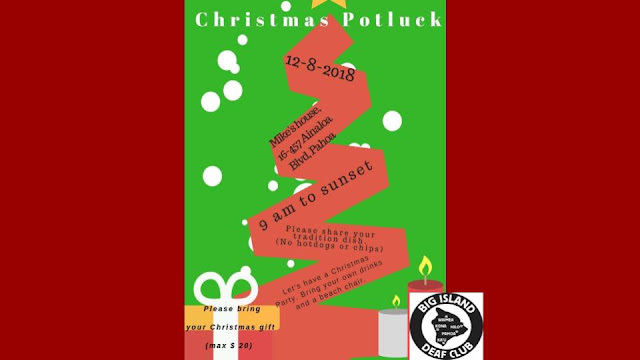 Let's have a Christmas Party! Bring your own drinks and beach chair. Come on! Join the fun ! When: December 152018 (for one time and another normal on Second Saturday of each month) Let’s enjoy our Saturday night. 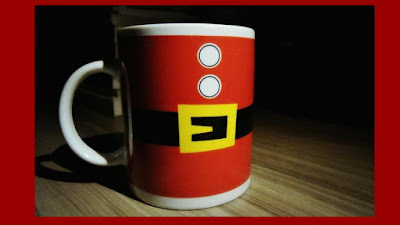 Meet people and drink a cup of coffee. 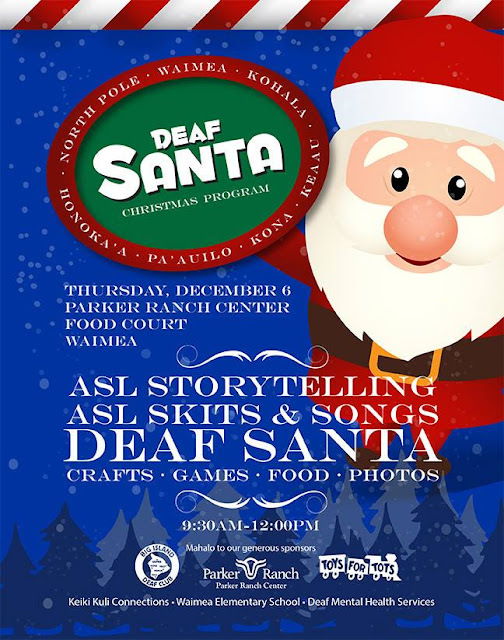 Deaf Santa Waimea 2018 December 6 from 9:30 – 12:30 PM In the Parker Ranch Center Food Court Room Deaf students and family come for a delightful visit and photos with Deaf Santa at Parker Ranch Center. 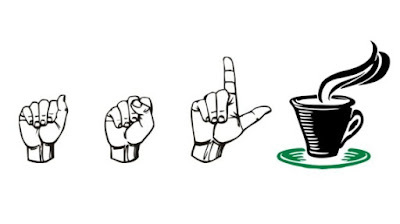 Enjoy storytelling in ASL, singing & signing, Plus, crafts with Mrs. Claus.